The kitchen is the most important room in the home and your greatest investment. 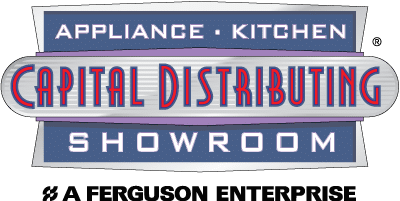 Whether you are shopping for one appliance or an entire kitchen, your options are endless, which can make the selection process challenging. Finding the right appliances you’ll love using every day is an important and long term decision. At Capital, you’ll see appliances set in actual kitchen settings, letting you touch, feel and imagine how each appliance would work in your home. Let our experienced sales consultants help make the process easy – we have access to the largest appliance selection in North Texas, and are confident we can help you find the right fit for your home while staying within your budget. So come by Capital, just 5 miles North of downtown Dallas, and experience the way appliance shopping should be! We display key brands like Gaggenau, Jenn-Air, KitchenAid, Miele, Thermador, SubZero, Wolf and many more.